Pair a turtleneck with wide leg pants and layer with a blanket scarf for warmth. 2. Rock a mock neck midi dress and pair it with a bold clutch for a sophisticated look. 3. 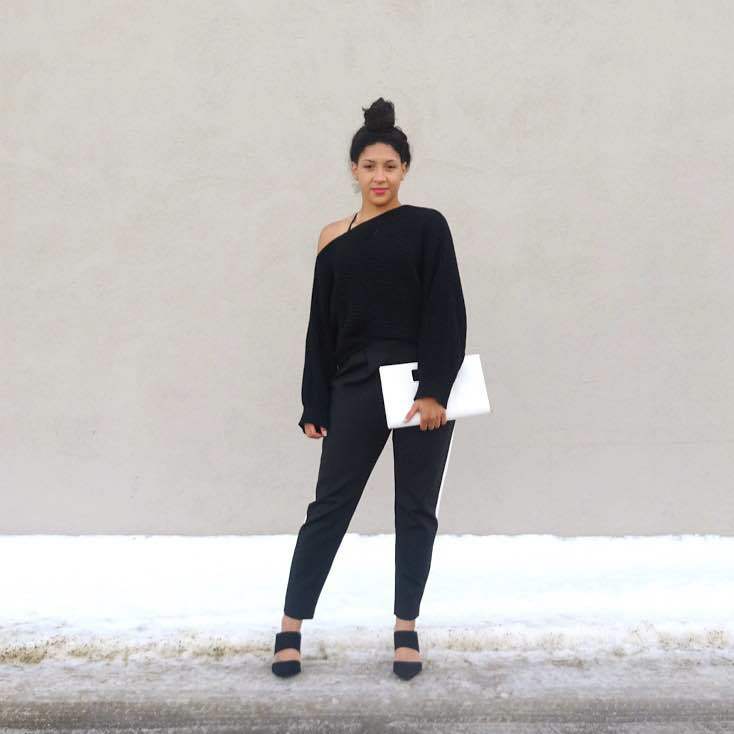 Wear an off the shoulder sweater with a pair of joggers for a chic weekend look. 4. Layer a longline blazer or jacket over a crop top and high waist pants combo for an easy night out look. 5. Grab a fur stole to add some texture to your all black look. Proportions. Make sure that no matter what base you choose for the season it makes your body look balanced both vertically and horizontally. Versatility. When you’re picking the perfect all black look make sure that it’s in a style that can be worn for several different occasions, this is the KEY to maximizing your wardrobe. Comfort. Of course it is important to make sure that whatever garment you decide on is and makes you feel comfortable! If you want more personalized styling tips take a look at my services and schedule your consultation today! Think of your all black look as a clean slate to share anything you want, whether it’s edgy, refined, or quirky don’t be afraid to express yourself, it is your body after all! I am loving your all black outfits, and you totally do not look like you’re about to attend a funeral! Love the first and last looks x You do inspire me. Great tips and reminders to help you chose an outfit. I used to wear all black for work and haven’t wanted to since I quit my job, but after reading your post, I see the benefit of styling your looks with black. I might need to go back to my closet and give all black another try! 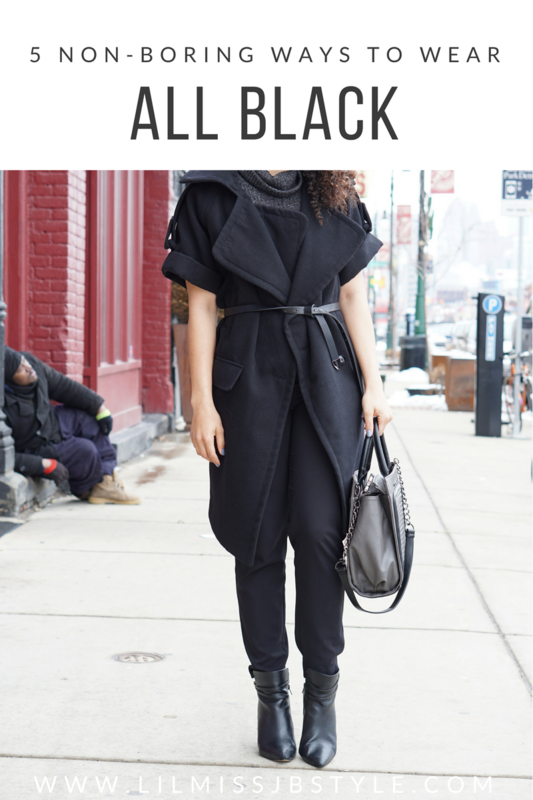 It’s great that all black isn’t your go-to Brooke, many people seem to only rock black. 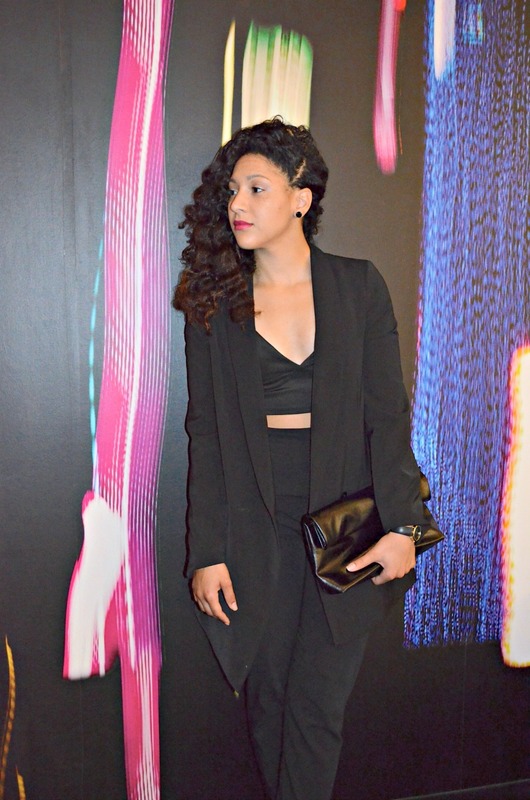 Wearing all black could be a fun refresh from your current style. I can’t wait to see how you wear it! Thanks for linking up to Top of the World Style. 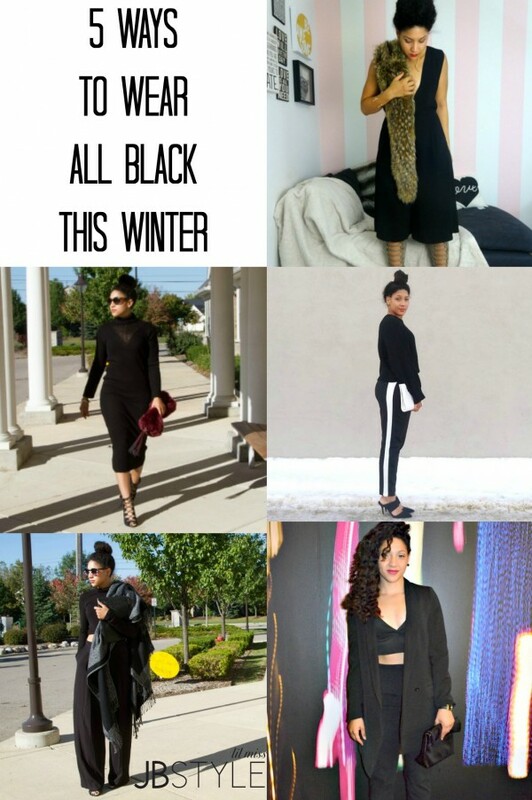 I totally love the all black style tips. I am also a fan of all black outfits. 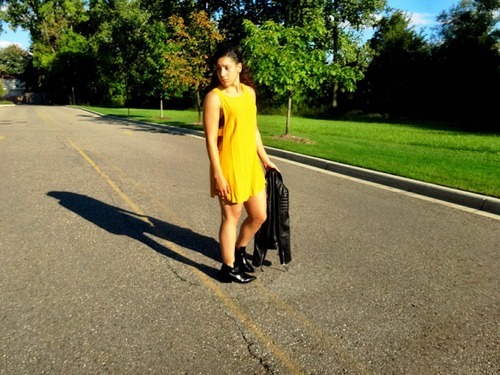 Thanks for sharing your awesome style and hosting the Top of the World Style Link Up Nicole! Look forward to this week’s look.